Boys and girls! As well as their parents! Merry days of rest will help to hold You we! Playful days our «Club» will show You. Active and alert — let’s go guys to us! On the first floor of our house organized children’s area with its own veranda and a children’s toilet. 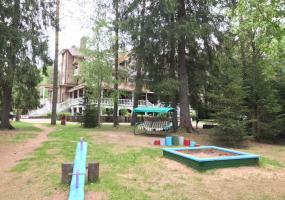 There is a Your kids all kinds of Board games, drawing, sculpting and other quite activities. If the weather calls for a walk in the woods in a tree built a little house Carlson, underneath 2 slides, swings, hammocks, ropes. 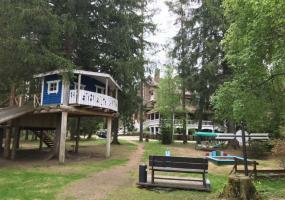 Next to the treehouse is a Playground, which has everything that will interest most young children: sandpit, swings, slide and a real train station with train. Certainly, all children dream of having their own house. That secret, sacred place that belongs only to them! We have such a place! Our tree house will appeal to all children, without exception!! !